Rose MacLean, Assistant Professor of Classics, received her Ph.D. from Princeton in 2012 and taught for one year at the University of Cincinnati before coming to Santa Barbara. 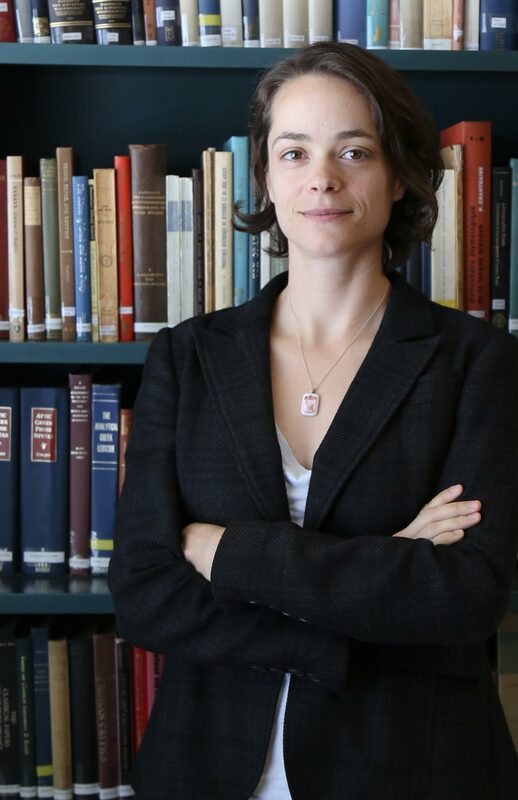 Her research focuses on the cultural history of the Roman Empire, especially as it reflects interactions between the ruling elite and groups at the social and political margins. Specific interests include Latin imperial literature, ancient and modern slavery, and epigraphy. Her first book is entitled Freed Slaves and Roman Imperial Culture: Social Integration and the Transformation of Values (Cambridge University Press, 2018). Drawing on a range of literary and material evidence, this study examines the cultural dialogue between the Roman aristocracy and former slaves, who made an active contribution to the development of social and political values under the Principate. Graduate students interested in Roman cultural history, imperial literature, slavery, epigraphy, or any other related topic are encouraged to get in touch.